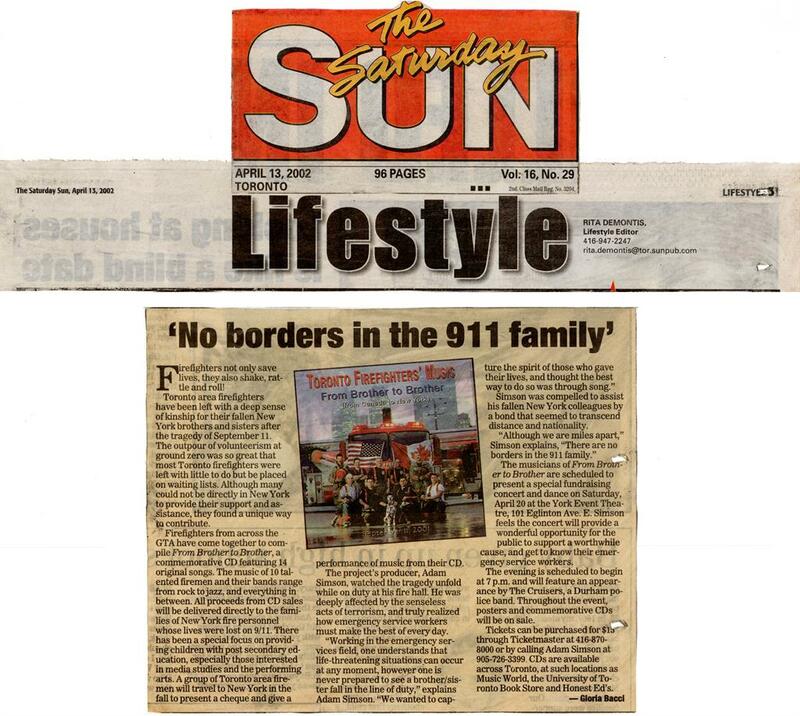 In memory of Emergency Responders who bravely lost their lives In The Line Of Duty on September 11, 2001 in the New York Twin Towers collapse. 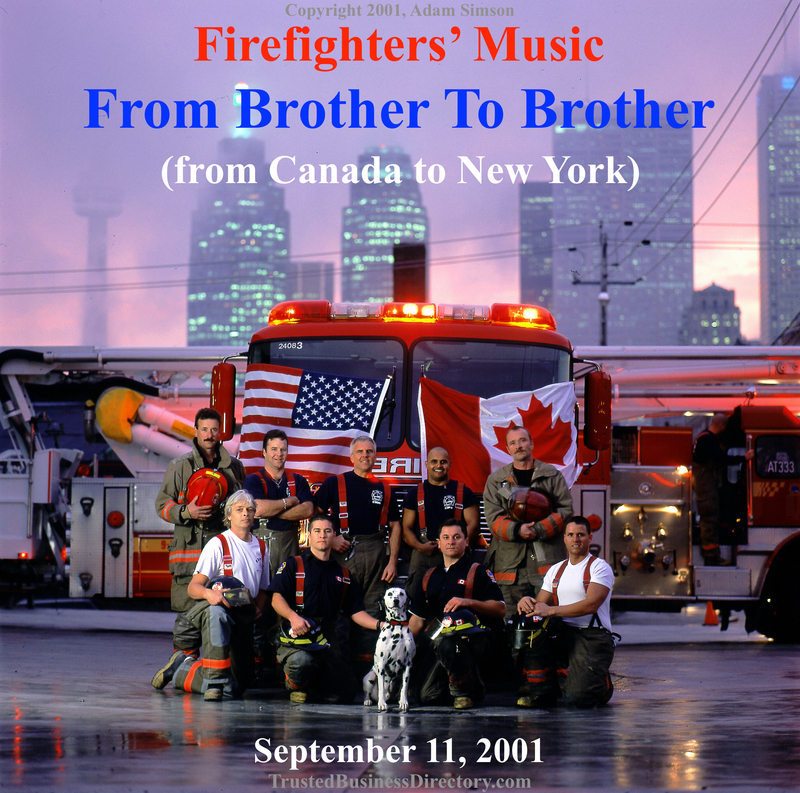 Produced by Adam Simson, the compilation CD comprises of Firefighters and their bands performing all original songs, as a fundraiser for the New York Emergency Responders' Widows' and Children's Fund, offering families of lost loved ones a way to show that there are no borders between the 911 family. 10. ORDINARY MAN - C.M.C. 11. SLIP AWAY - C.M.C.